When it comes to the notion of providing whole-genome sequencing to healthy individuals, there are not one, but two elephants in the room: the cost of the sequencing and analysis itself; and whether people, newly armed with specific information about themselves and their own set of specific genetic variants, might increase downstream spending in the health system. Lead author of the study, Kurt Christensen, Ph.D., an instructor of medicine at Brigham and Women’s Hospital in Boston, said MedSeq is the first randomized clinical trial that is seeking to provide data on the clinical utility and value provided by WGS in a general healthcare setting, as opposed to disease-specific applications such as cancer or rare disease diagnoses. Data from the study showed that cardiology patients who had WGS spent, on average, $8,109 during the six months researchers collected data, which was $1,561 less than the average of the group who had medical history only. That spending may have been skewed by the small number of study participants. “Hospitalizations are expensive, and you are talking about cardiology patients, so one hospitalized patient could make a big difference,” Christensen said. To account for this, the authors also provided total costs excluding hospitalizations which showed slightly higher costs for the WGS group compared with those with family history ($5,392 versus $4,692). 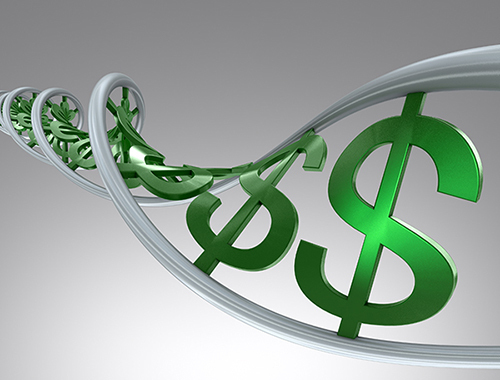 Among healthy patients in the study, those who had genome sequencing had slightly higher medical costs of $3,670, on average, compared with $2,989 for the family medical history group. Christensen is encouraged that the early MedSeq data may begin to address the fears of many that having patients and their doctors having WGS data would significantly drive up healthcare costs and utilization. “It is a pilot study, so we haven’t drawn conclusive evidence, but it suggests those fears may not be panning out,” he noted.